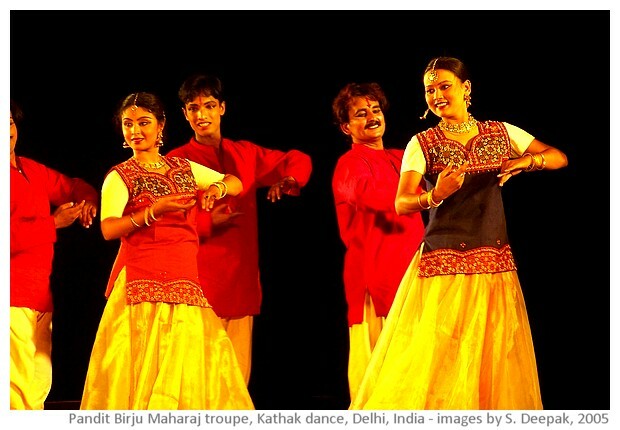 Welcome to the magical world of Kathak, one of the classical dances of India. 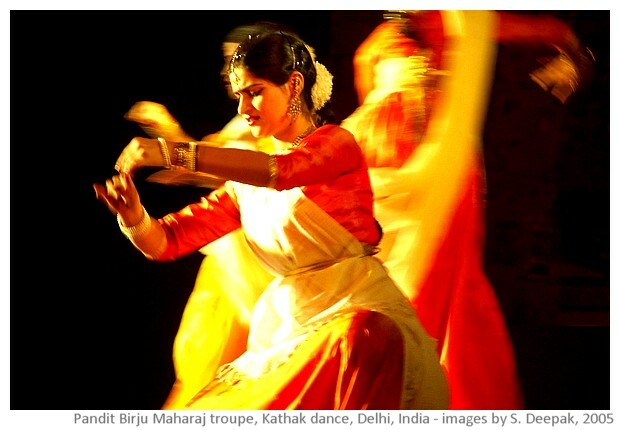 Kathak is the dance from the Hindi heartland of northern India. 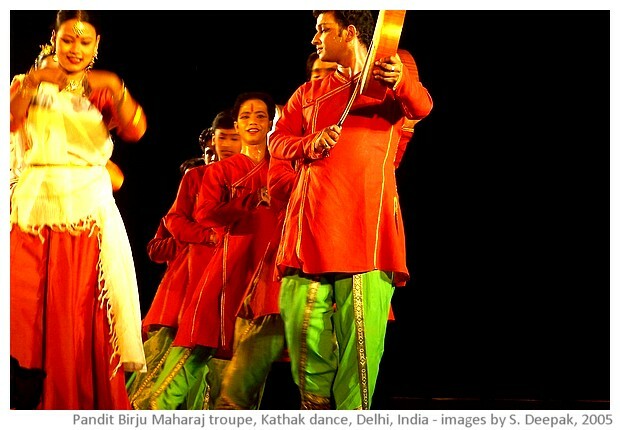 Generally speaking, most of the classical dances of India like Kathakkali, Bharatanatyam and Mohiniattam with elaborate choreographies and exquisite costumes, originated in Southern part of India. Probably it has something to do with the peace and prosperity in that part of India over a period of centuries, so that cultures could develop more elaborate forms of artistic expressions. On the other hand, historically northern parts of India, especially on the west, over periods of millenniums, had repeated invasions and wars. 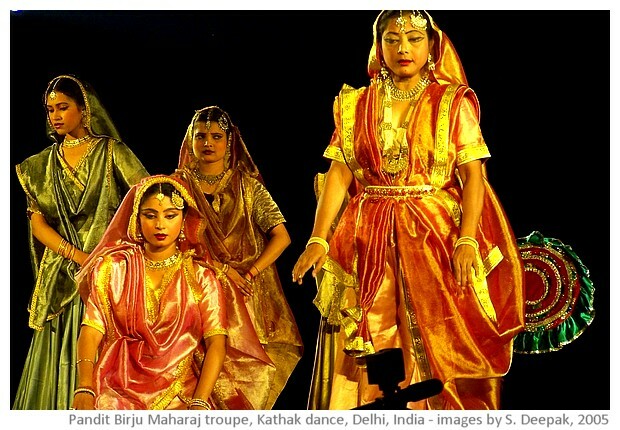 The same is true for the two other classical dance forms of northern India, Manipuri from the north-east and Odissi from Orissa (Odisha). Both have elaborate costumes, makeup and gestures. 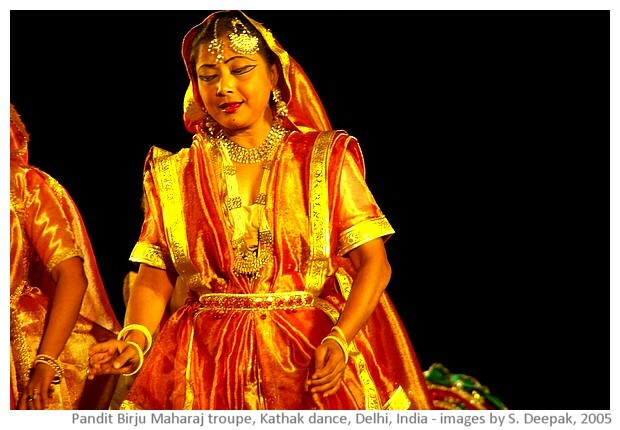 This part of India could also develop traditions of artistic expressions because it was far away from the invading armies coming from the west. 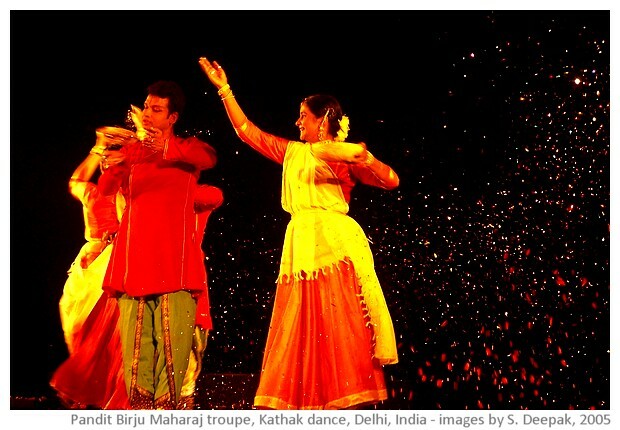 Kathak is the dance of north and north-western part of India and has been heavily influenced by the different cultures that reached India from the west, especially the Mughals. 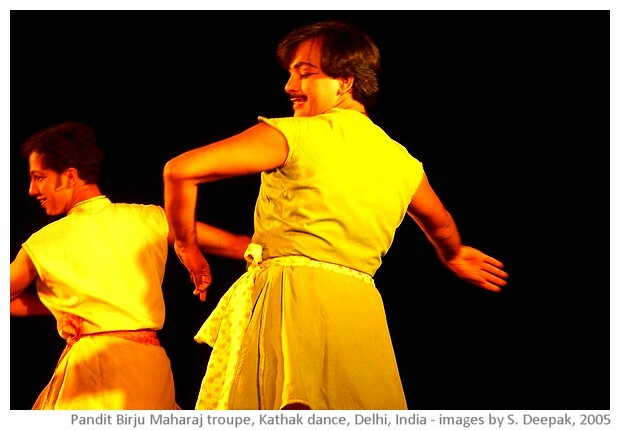 To be classified as a classical, apart from the antichity of its traditions, a dance must also have a codified set of rules that govern all its movements, gestures and costumes, as well as the music that accompanies it. 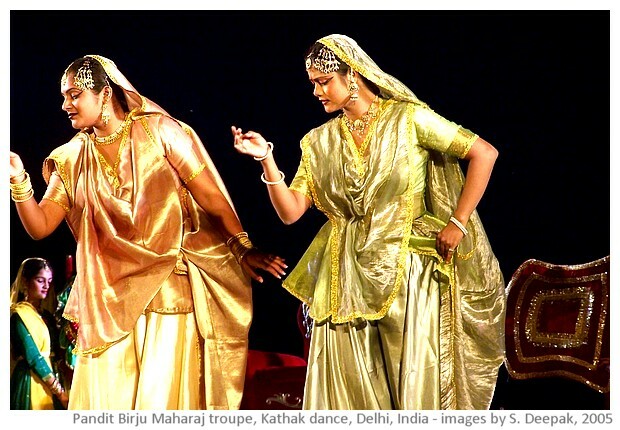 I think that Kathak was devalued and vulgarised over the past century as it lost patronage of the kings and nawabs, and was seen as the dance of prostitutes. 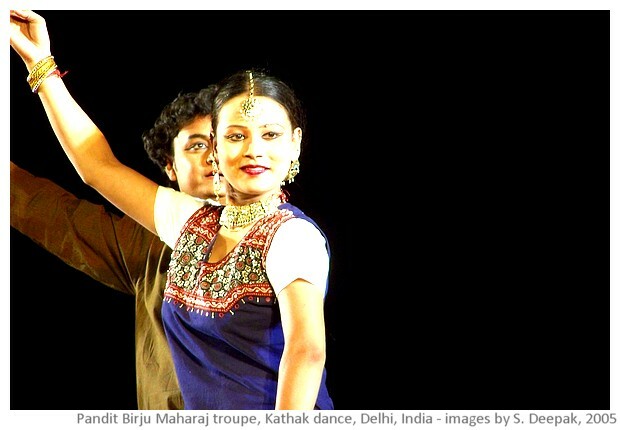 Even if it developed in the Mughal courts, it took many traditions of Hinduism from the Hindi heartland, especially the traditions linked with Krishna. 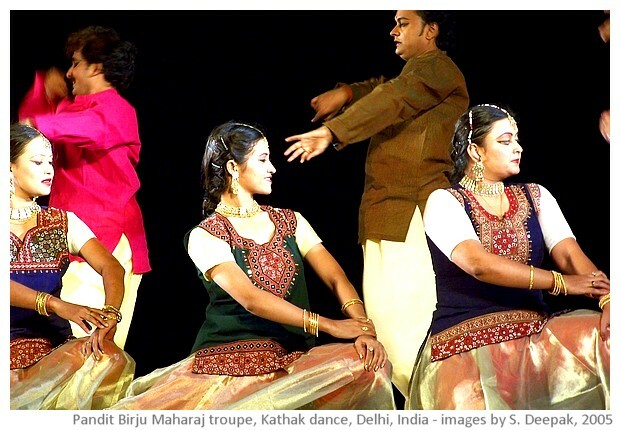 The distinctive feature of Kathak is the foot-work. 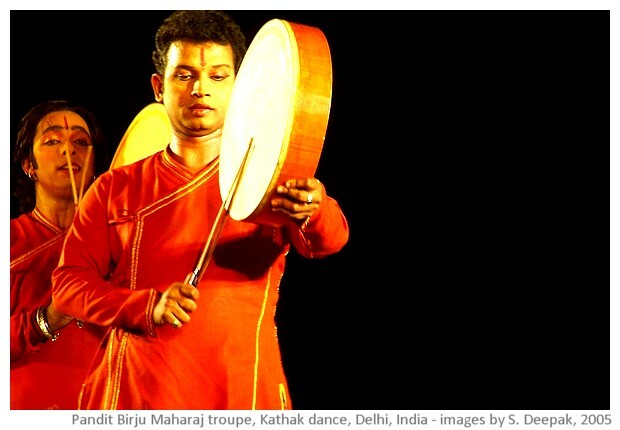 Vigorous thumping of feet along the rhythm of music from tabla, that may seem very similar to the Spanish flammenco dance in some ways, is a key part of the dance. 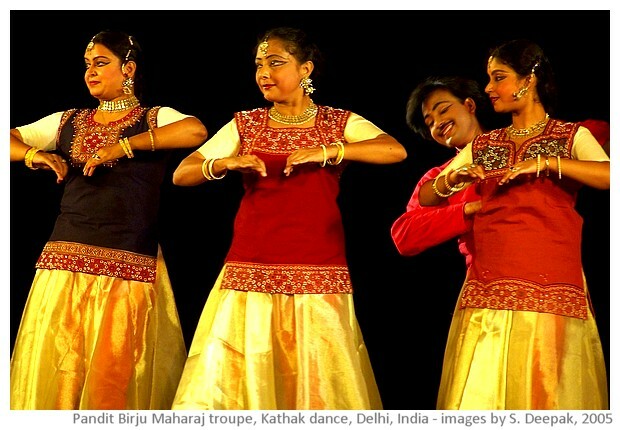 Expert dancers take that to the extremes with such quick footwork that only the more experienced can understand the nuances and complexities of the dance. Yet, even if you don't understand all the complexities, you can always enjoy its simple gestuality and its vigourous gestures and movements. 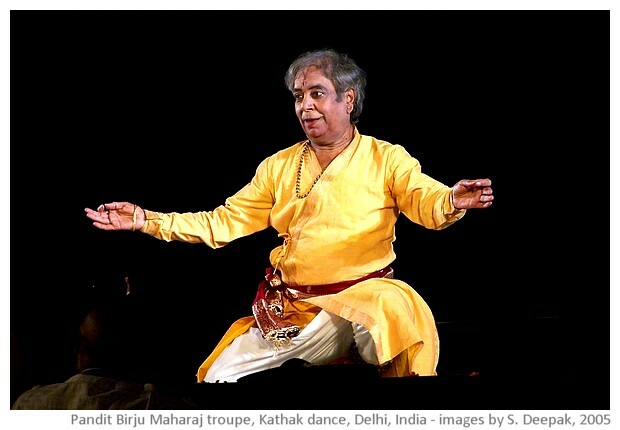 All the pictures below are from a kathak performance by guru Birju Maharaj's dance troupe held in New Delhi in October 2005. 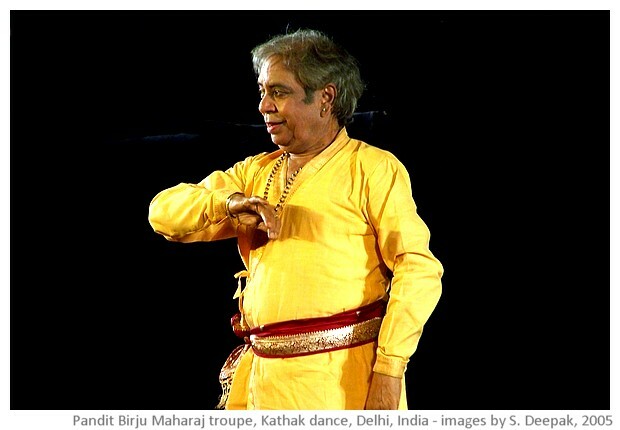 Birju Maharaj ji is one of the leading exponents of this dance. 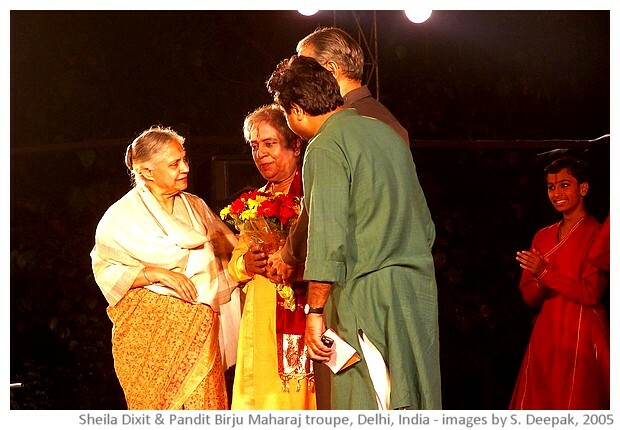 The dancers in his troupe included Sashwati Sen, who had become famous after her dance in Satyajit Ray's film Shatranhj ke Khiladi, that was choreographed by Pandit Birju Maharaj.